When not sitting on roadside telephone poles, they can be seen actively hovering nearby. In both cases they are hunting for their favorite meal of rodent. In the years that rodent populations are high BSK’s will often raise two sets of chicks. This is referred to as ‘double clutching’. Careful observation of a perched bird can reveal a distinctive territorial tail bobbing. These are very feisty little raptors and often seem to be causing trouble with birds far bigger than they are! 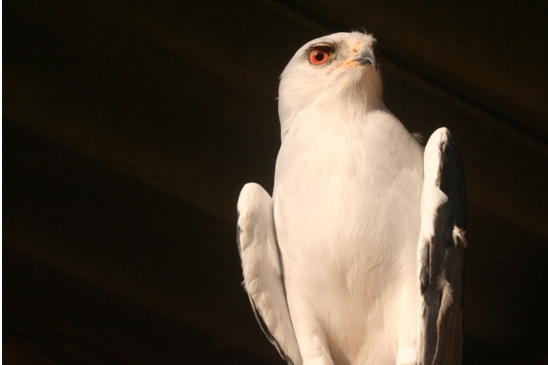 These birds are born with conventional brown eyes that change to bright red in adulthood.